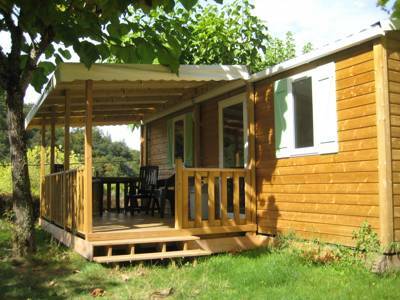 A wooden chalet nestled among the trees of a campsite with its own river beach in a peaceful part of the Dordogne. Nestled amongst the trees on the edge of the campsite, these wooden chalets are ideal for a family escape or a break with friends. Outside, a wooden decked area provides space for al fresco dining whilst admiring those countryside views, and comes complete with outdoor dining table and chairs. There is also a further grassy area for the little ones to run around in. Inside, the space is perfect for a group of 4 to 6 people, with its own fully equipped kitchenette, toilet and shower room.The sleeping accommodation includes:- 1 double bedroom- 1 bedroom with 2 single beds- The sofa in the living area converts to a double bed. Bed linen is available to hire, please select this option upon booking, or please bring your own.La Chatonniere is situated in a peaceful spot in the Dordogne, not far from the Limousin border. The campsite is a quiet haven, with no noisy distractions such as bars or pools: the site enjoys a 'back to nature' ethos where the great outdoors and river are entertainment enough. A child-friendly sandy beach gives access to the river which runs along the site, allowing children and adults to swim and splash around in the sun. You can mess about on the river in rowing boats or build campfires on the river banks from wood gathered from the nearby forest. An outdoor play area with a badminton field, volley ball field and 'jeu de boules' can also be enjoyed. Don't forget to try out one of the nature trails, which are all well sign-posted, or for those that prefer exploring on two wheels, mountain bikes can also be hired at the campsite. Local shops, restaurants and bars can all be found within walking distance in the local village of Jumilhac-le-Grand. A horse riding centre and tennis court are also nearby. Campfires, river swimming, tranquility and plenty of space - a stay at La Chatonniere will leave you feeling relaxed, recharged and wanting to come back! The Chatonnière is a small green campsite on the banks of a little river with its own sandy beach. We rent out mobile homes, tents, safari tents and campsites. We opened in the Dordogne in 1992. Our camp site 3 stars campsite is situated in a peaceful section of the Dordogne not far from the Limousin border. Because this area is very special concerning the landscape and nature it obtained the status of nature reserve. The name of this new nature reserve became: “Parc naturel regional Perigord-Limousin” and is well known across the country. For peace, tranquility and the chance to truly enjoy the flora and fauna of France, there are few finer places to be. Camp site “La Chatonniere” is situated within walking distance of the village Jumilhac-le Grand (1300 residents), there you will find all the facilities such as shops for your daily groceries, a swimming pool, a horse-riding centre, a tennis court and restaurants. The impressive castle of Jumilhac-le-Grand is a part of the castle route of Richard coeur de Lion, a renowned route that takes in some of the best châteaux in all of France. Our terraced campsite is situated in a green valley on the banks of the River Isle. On the highest terrace are the “standard” and car-free places. On the lowest terrace are the places (bellevue) with a direct view of the river and the sandy beach. The pitches are separated by bushes and, on every place, there are trees to provide shade (though there is always a sunny spot to find). 2 modern ablutions blocks, including disabled facilities, a family bathroom, washing machine and dryer and a covered washing up area. There's a WiFi zone, public telephone, fresh bread each morning, a small shop and tourist-information. There's a badminton field, table tennis, table football and a playground. Bikes, canoes and kayaks are all available to rent and you can fish in the river. Small children can play on the nearest river beach (depth 50 cm), while 'real' swimming for us big kids is accessible in the rest off the river. For those who dare, try jumping from the big rock in the middle! Communal campfires every 2 days. The campsite is located on the road followed by Richard the Lionheart and is also on one of the many branches of the Camino de Santiago. Today it's well signposted as 'the castle route', so if you fancy visiting a few châteaux you're in the right place. The castle of Jumilhac-le-Grand (0033 6 0961 7840) is the closest, also known as 'the black pearl' of the Perigord-Vert because of it's distinctive black tiled roof – a multiple-towered, romantic, fairy-tale-like structure. The intricate gardens are also expansive and worth setting aside some time to explore. 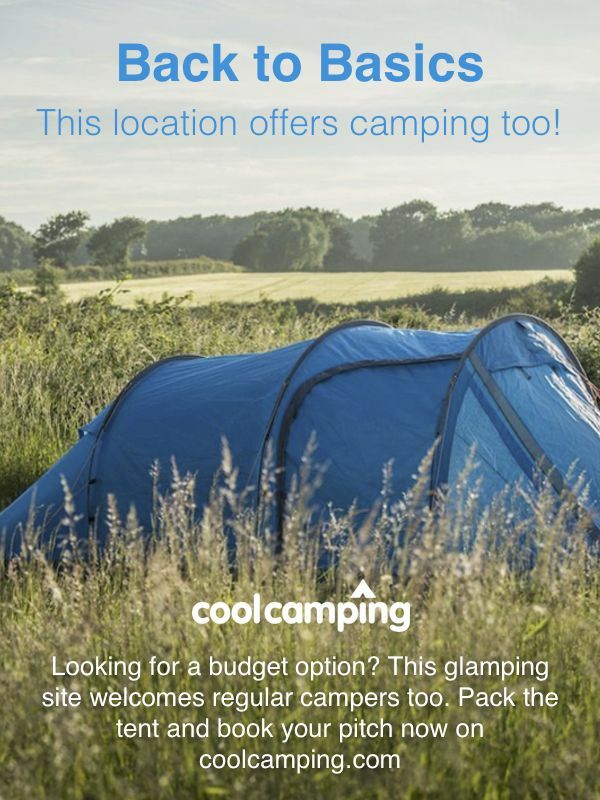 The campsite's location within Parc Naturel Regional Perigord-Limousin (0033 5 5355 3600) makes it a boon for outdoor activities (not just river swimming). Plenty of excellent walks are well signposted and you can also roam easily by bike. 300m from the campsite there's also a riding school; ponies are available for children and you can either take lessons or head out on a tour of the park (enquire at reception for info). You can grab ice-creams, drinks, home-made takeaway pizza, chips and snacks from the small shop onsite, plus there's fresh bread to order each morning. Offsite, though, on the main castle square in Jumilhac-le-Grandthere try the lovely little restaurant of Lou Boueiradour (0033 5 53 52 50 47) – traditional French cuisine. In nearby La Coquille, the hotel Les Voyageurs (0033 5 53 52 80 13) is another excellent choice. From the roundabout in Jumilhac-le-Grand (there's only one) take the D79 north in the direction signposted La Coquille. 500 meters after the roundabout take the left hand turning. After 100 meters you will arrive at the campsite entrance. The nearest train station is in Saint Yrieix-la-Perche, but it's 12 km from the site so you'll need a lift (or a taxi) from there. 43 pitches (all with electrical hookups), 7 wooden mobile homes and 6 rental tents.